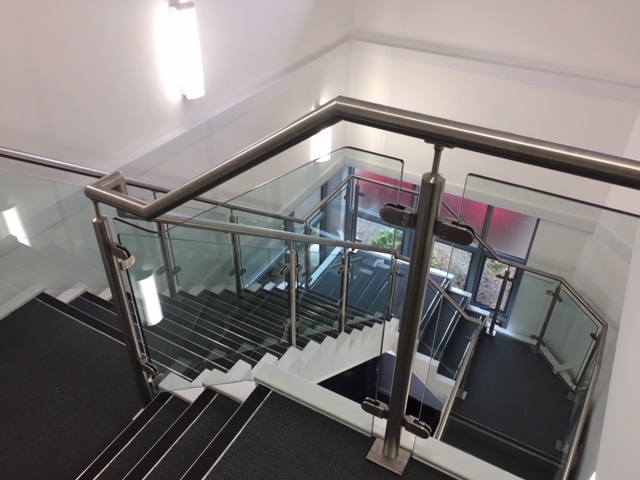 Hawkins Steel Ltd were asked to replace the existing painted steel handrail with new brushed stainless-steel uprights and handrail. The glass was to be reused on the new balustrade. 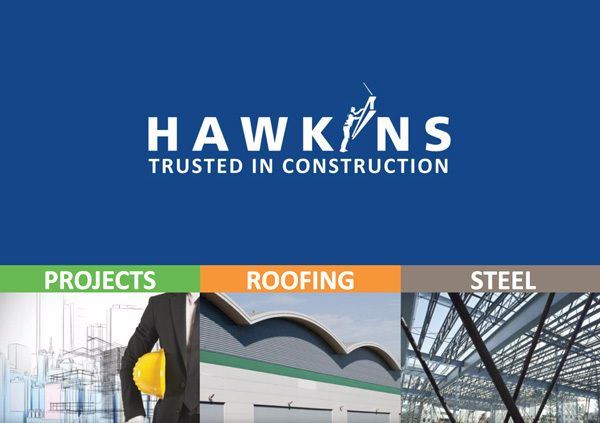 Hawkins Steel Ltd carried out a detailed site survey to measure the existing balustrade and to ensure that the existing glass panels could be reused. 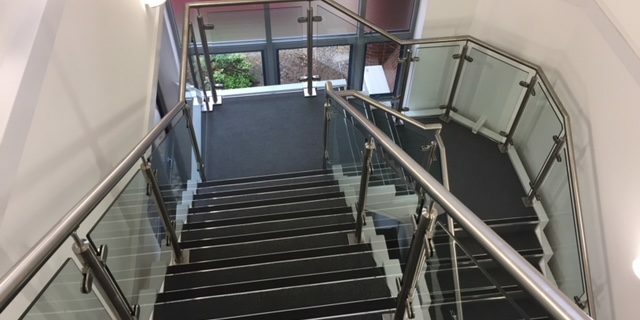 The uprights and top rail were prefabricated in our workshop. 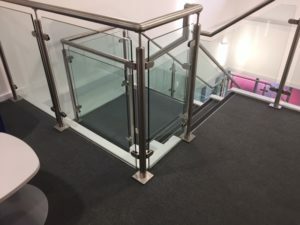 The uprights and handrails were transported to the customers office where they were fully welded and polished on site to achieve a seamless brushed finish throughout.